Unfortunately, a healthy lifestyle does not guarantee good health. But, it does guarantee you can prevent a whole barrage of additional health problems caused by poor lifestyle habits. It can be very frustrating when you seem to be doing all the right things for your wellness but then wind up with a diagnosis you don’t want or an illness you think you shouldn’t have for all your good efforts. OK, OK, but what if you eat organic, filter your water, and only use natural personal care and household cleaning products and STILL face health challenges…? You must comprehend and accept the fact that staying healthy is a never ending mission that we must stay proactively engaged in every single day of our lives. In other words, we have to fight for our good health and enforce healthy lifestyle habits on a daily basis in order to achieve and sustain wellness, and sometimes that means doing face-to-face combat with a particular ailment. We can walk the walk and still end up accumulating heavy metal buildups in our body that wreak all sorts of havoc on our state of wellness. We can eat the best organic foods on the planet and still end up with all kinds of disease-inducing nutritional deficiencies and imbalances in our body due to soil nutritional depletions. We can take all our supplements and still be contaminated by our own dental state of toxic materials, root canals, and hidden infections in our mouth. We can go “all natural” with all our products and still end up deathly ill from excessive EMF (electromagnetic frequency) exposures that are everywhere in our high tech wifi world. And unfortunately, we cannot escape our genetic blueprint that predisposes us to the entire health baggage of our heritage. In other words, in spite of our best efforts, doing the “right things” is not a guarantee that you won’t ever get sick or face a threatening diagnosis in your life. Maybe this makes you wonder why you should even bother if your best efforts are going to be circumvented by causal factors in our world over which you have no control. This is exactly why you MUST be proactive, take healthy steps, and fight for your good health! If you do nothing, you can end up like that person you know who is your same age but looks like they are 120. If you do nothing and put your faith in the traditional medical establishment, you can count on a mounting accumulation of toxic prescriptions and their side effects that you must deal with. If you do nothing, you might be that person who drops dead unexpectedly. If you do nothing, you can watch yourself age prematurely, see the pounds creep on over the years, and feel your energy level fade out. Chances are, you are not going to be that one in a thousand person who does everything wrong and still lives to be 100. We all know someone like this, but that person is a fluke. Don’t bank on being as lucky. Good health can be yours if you take the necessary steps. You can be blessed with wellness if you fight back and incorporate good lifestyle habits into your daily routine. Sure, you may face health challenges along the way because you are a human being living in a health-challenging world. Even health nuts have health issues. BUT… The consequences of being passive about your state of wellness can be dire. You may think you should never face a health crisis because you are the poster child for healthy living, but that is not reality. 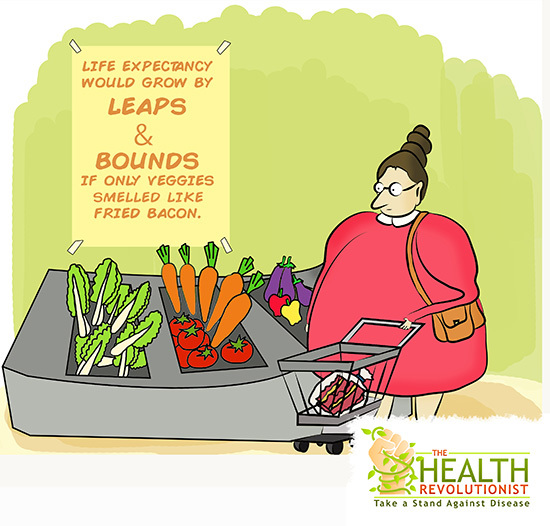 The good news is, your chances for succumbing to disease are greatly diminished by living healthy. Keeping your vital force strong is your best defense. It is also your best retaliation in the event you ever have to fight back against a particular disease manifestation. Never take your good health for granted. Take an honest look at those bad habits you are hanging onto that are assaulting your good health. You know what they are. Be responsible. Every day is precious and life is short. Take care of your body, and it will reward you with a resilient vessel that can bounce back and recover from a health challenge. When it comes to achieving and maintaining your good health, embrace the journey. Accept healthy living as a necessary lifestyle action step toward wellness. If you would like to learn how you can be proactive and fight back against disease, book a no obligation call to talk with me. Watch my calendar for these complimentary times slots as they become available and grab yours. I want to book a call to talk about how I can restore my health!